The Rollbloc range of components includes everything you need for the manual change over and hydraulic clamping of dies and press tools. Guthle products optimize and rationalize re-tooling. We have a standard solution or we can make special application solutions to meets your exact requirements. The Guthle product range is suitable for both first time installation and later extensions to existing installations. Hydraulic clamps can be used to reduce down time when setting up wherever dies need to be changed frequently. With a defined clamping pressure, die clamping is extremely precise as all clamping elements are effective simultaneously. Integral features of such a die clamping system include complete die protection in conjunction with effortless operation. The minimum handling requirements saves considerable time. 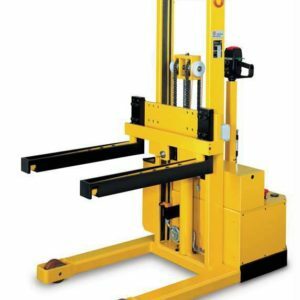 This specially designed die change lift-truck can be used for multipurpose applications in press shops. It serves as a die change facility directly in front of the press table. It is designed as an electric motor-driven transporter for dies and is used effectively as a floor vehicle in the die stores.